Flying by the seat of your pants is all well and good, and it’s something I do all too often, but for a stress-free, much more budget friendly Thanksgiving, a little organization goes a long way. That’s where my Vegan Thanksgiving Dinner Menu & Shopping List comes in! We’ve all been there. Arriving at the grocery store the day before, not really knowing what we are going to make, and buying so much more than we actually need out of sheer desperation and a total lack of planning. So this year, I have decided to be super organized and plan my Vegan Thanksgiving Dinner Menu and my Vegan Christmas Dinner Menu ahead of time and actually write a proper shopping list. I have also decided to share them with you because I am guessing I am not the only totally disorganized person out there. Now I say “super organized”, but here in Canada, Thanksgiving is this Monday, so I am still sailing pretty close to the wind, but it’s way better than it ever has been before, so I think I deserve some credit here! ???? 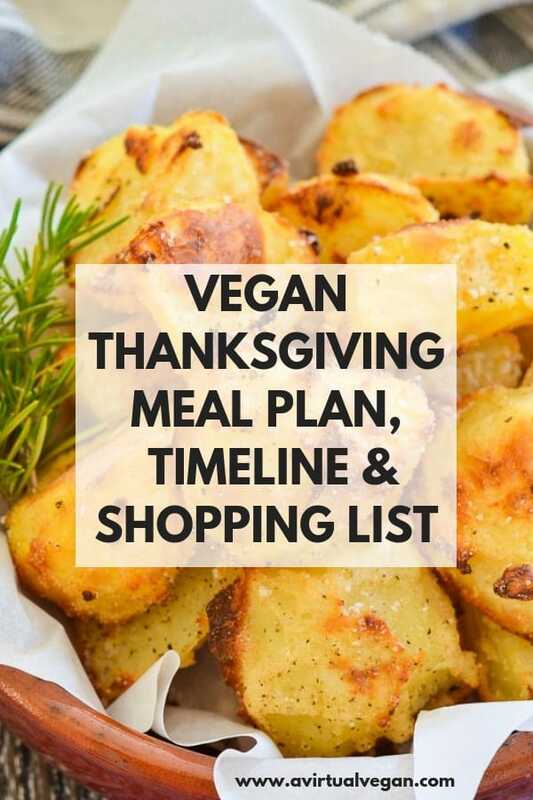 Not only will you get a full Vegan Thanksgiving Dinner Menu with a handy printable shopping list, you will also get a time-line for the day, plus tips for making and prepping most of it in advance, which all goes towards making your Thanksgiving so much more pleasant and stress-free. So relax, arm yourself with my menu, step-by-step guide and a glass bucket of wine, and your Thanksgiving will be a complete breeze! This menu will comfortably feed four to five hungry people with plenty of leftovers. Any more than that and you will need to double the Roast Potatoes and possibly the meatloaf but read my notes there before you make a decision. Everything else should still work out ok for up to about 8 people. 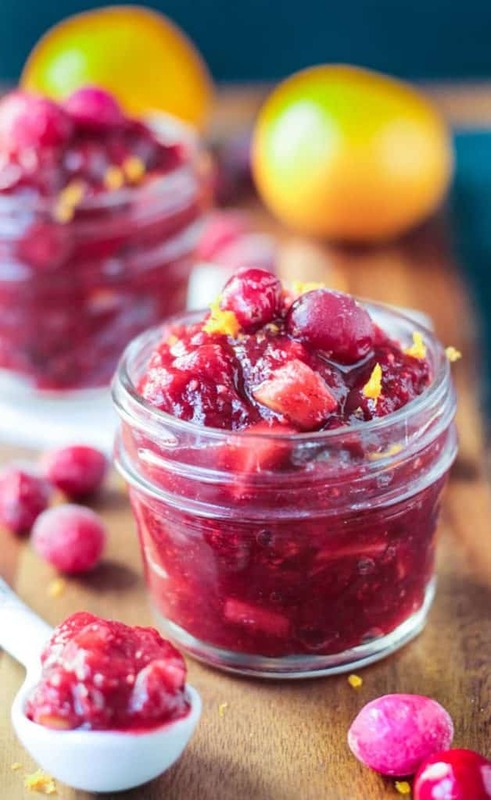 Maple Cinnamon Cranberry Sauce (the ingredients are included in the shopping list and it is also included in the timeline, but I cannot include the recipe in the download because it is not mine. So you need to just print this one recipe separately). 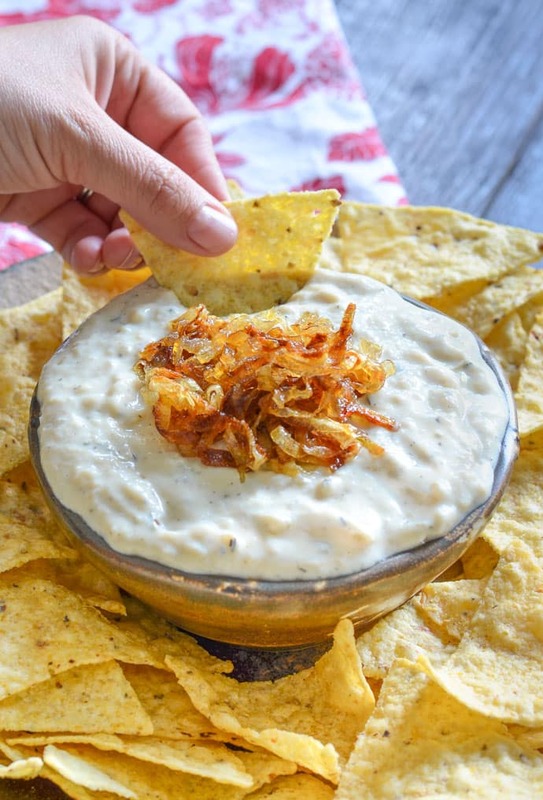 This Creamy Vegan Garlic Onion Dip recipe makes a nice sized bowl full. About 2 heaping cups in total. It can be made up to 2 days in advance. On the shopping list I have included tortilla chips for dipping along with optional crunchy crudités. Celery, carrot sticks, bell pepper, cauliflower, broccoli, all work well. This very festive Cranberry Pecan Brussels Sprout Salad makes a great appetizer or side, and unlike salads with lettuce, it doesn’t go limp and soggy when made ahead. You can prepare it all the day before and even mix it with the dressing. Just be sure to leave out the nuts until just before serving so they retain their crunch. Leftovers are great for a couple of days. 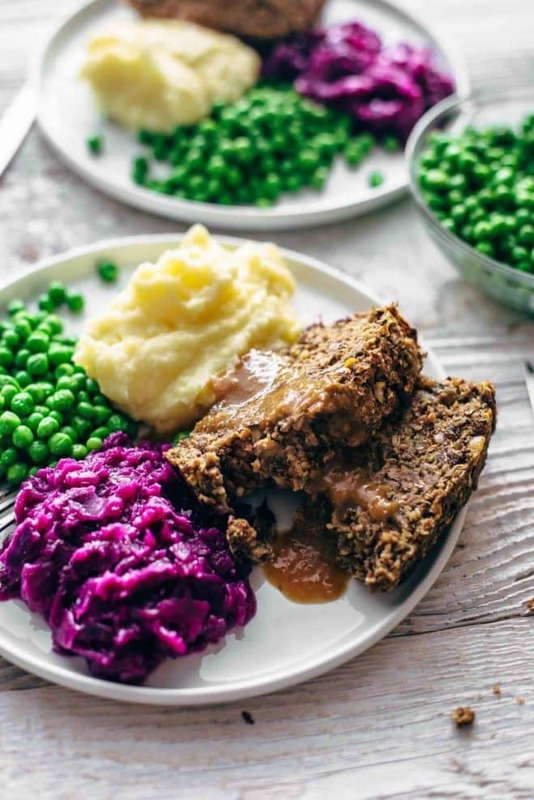 You can get about 8 thick slices out of this Vegan Meatloaf. It will usually comfortably feed 4-5 adults but as the Roast Stuffed Pumpkin below is also part of the menu, it can stretch a bit further in this meal because you wont need quite so much. It can be made up to a couple of days ahead. Just wrap up well and stow away in the fridge. Leftovers reheat really well and are also awesome thinly sliced in sandwiches so if you feel the need to double the recipe don’t be worried about ending up with too much. There should be enough gravy for everyone but if you like lots it might be worth doubling it to be safe. Remember to adjust the shopping list if you do decide to double anything. 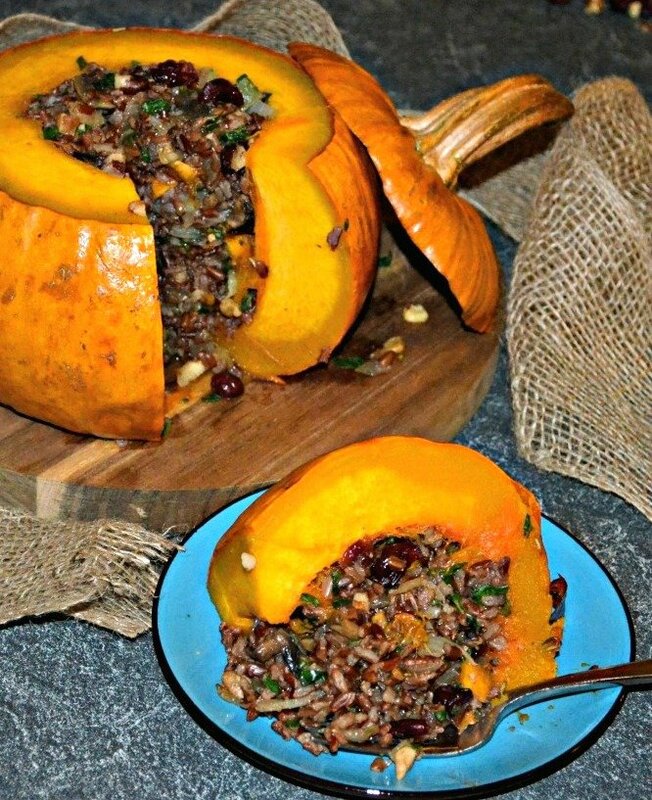 This Roast Stuffed Pumpkin makes such a lovely centrepiece! You don’t have to use a pumpkin. Any squash will do, but so the filling fits nicely, one around 8 inches in diameter will be best. This isn’t as difficult as it looks. It’s just a case of cooking the rice and sautéing the onions, garlic and mushrooms. Then it all gets mixed up together with a few other things, seasoned and stuffed inside the pumpkin. It then gets wrapped up and can be cooked right away or kept until the day after. If you aren’t going to stuff and cook the pumpkin right away, be sure to cool the cooked rice very quickly (ideally within one hour), then refrigerate it immediately and be sure that the rice inside the pumpkin is piping hot before serving. 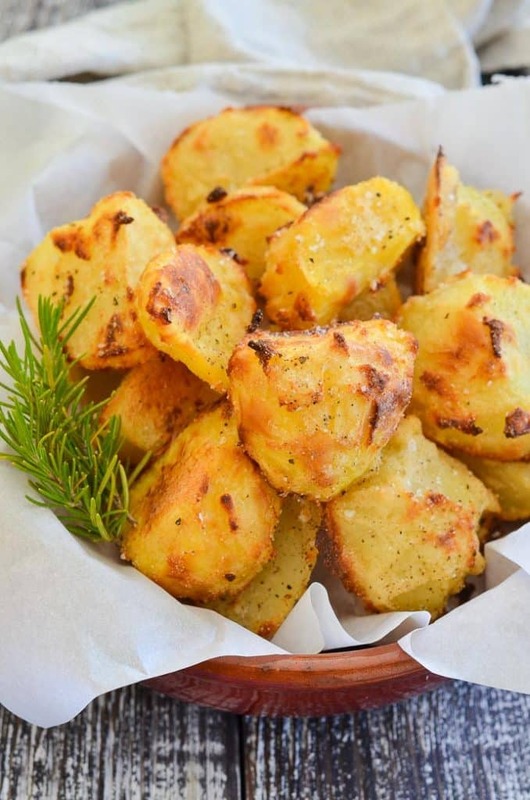 You won’t miss the oil in these Crispy Roasted Potatoes. They have had such great feedback since I published them. This recipe feeds 4 – 5. Any more and you will need to double it. Be sure to adjust the ingredients list accordingly if you do. Now for the only recipe in this Vegan Thanksgiving Dinner Menu that isn’t mine, and I am sharing it with permission from Veggie Inspired. I have made this Maple Cinnamon Cranberry Pear Sauce for Thanksgiving and Christmas the last couple of years. It is really lovely and is the perfect addition to your Thanksgiving Dinner. It works so well with the Meatloaf. It keeps really well for several days in the fridge so you can make it well in advance. When it comes to the veggies, I am all for simple and unadulterated. There is a lot going on elsewhere so simple steamed veggies on the side are just perfect. I usually buy whatever looks good at the greengrocer. It could be peas, Brussels sprouts, beans, carrots, broccoli, cabbage (red cabbage looks particularly festive), kale, rapini. Just whatever you fancy and whatever everyone likes. 2 varieties, 3 at the most should be plenty. I have added a note on the shopping list so you don’t forget them. This Pumpkin Pie with Caramel Sauce is really decadent and will feed 8 people easily. It needs a couple of hours in the fridge after baking so is best made the day before. The caramel sauce only takes a few minutes to make but can be made up to a week before. The sauce is best served warm over the pie. It does firm up in the fridge but you can warm it through gently in a pan over a very low heat or for a 20-30 seconds in a microwave. I love serving this pie with dairy-free vanilla ice-cream but squirty vegan whipped cream or whipped coconut cream is also good with it. 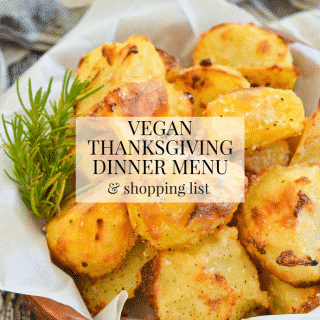 All you need to do now is download and print the Vegan Thanksgiving Dinner Menu and shopping list. All of the recipes are included except for the Maple Cinnamon Cranberry Pear Sauce. That’s because it is not my recipe. You will need to print just this one recipe separately and can do so here or just below. CLICK HERE TO PRINT THE MAPLE CINNAMON CRANBERRY PEAR SAUCE (sorry this one can’t be included in the download as it’s not mine). DID YOU FOLLOW THIS THANKSGIVING DINNER MENU? 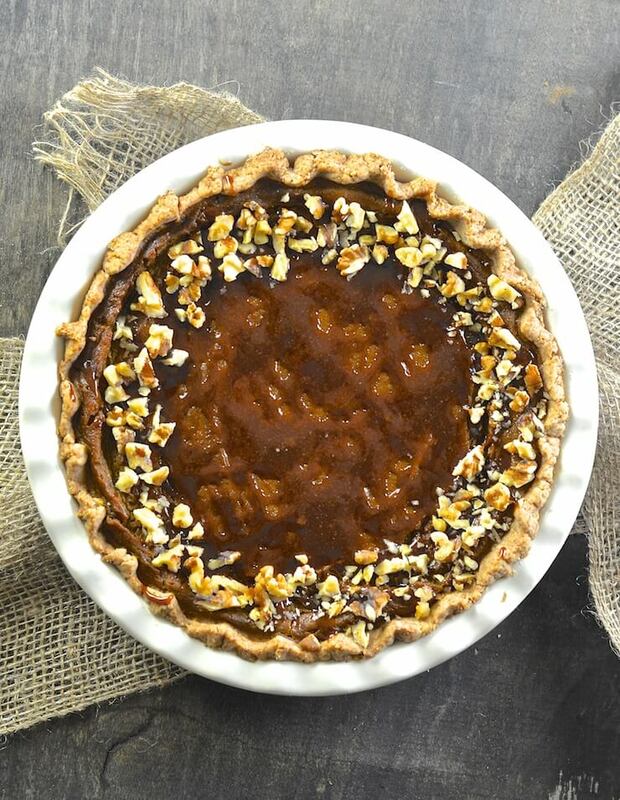 For even more Thanksgiving-worthy recipes check out 15 Vegan Thanksgiving Recipe Ideas. And if you are planning for Christmas be sure to check out Vegan Christmas Dinner Menu and Shopping List! Flying by the seat of your pants is all well and good, and it’s something I do all too often, but for a stress-free, much more budget friendly Thanksgiving, a little organization goes a long way. That’s where my Vegan Thanksgiving Dinner Menu & Shopping List come in! 300g / 2.5 cups wholewheat flour ,This is to make the pie crust and also includes ½ cup for the meatloaf. If you are gluten-free you will need to make/buy a gluten-free pastry case for the pie and you won't need this flour. For the meatloaf sub oat or rice flour. Make the caramel sauce for the pumpkin pie and store in a sealed container in the fridge. Make the Maple Cinnamon Cranberry Pear Sauce and store in a sealed container in the fridge. Make the gravy (you will find the recipe with the meatloaf recipe) and store in a sealed container in the fridge. Prepare the meatloaf, fill the tin then wrap in foil or cling wrap and store in the fridge. You will cook it on the day. Make the Creamy Vegan Garlic Onion Dip and store in a sealed container in the fridge. Make the pumpkin pie then refrigerate. Cut the top off the pumpkin and scrape out the seeds and stringy bits. Wrap up well and store in the fridge. 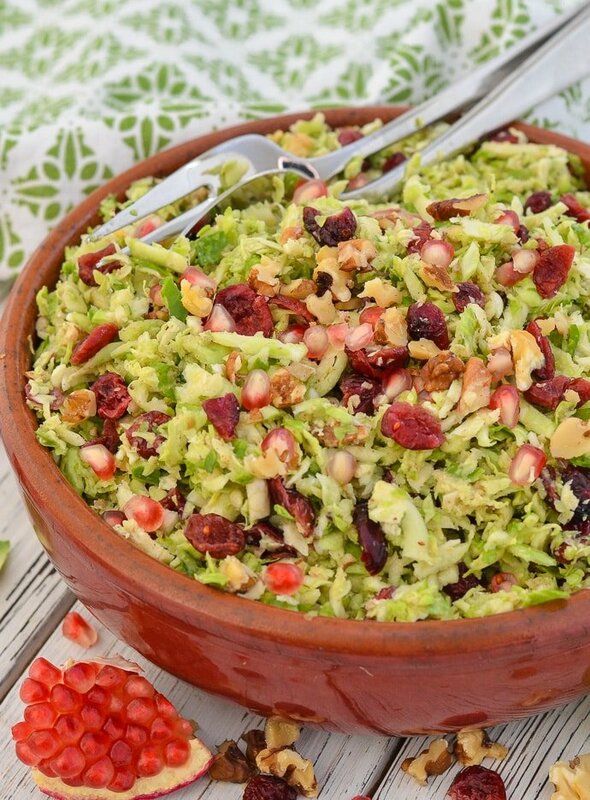 Make the Cranberry Pecan Brussels Sprout Salad (reserving the nuts to add when serving to retain the crunch). Peel the potatoes, chop them up, and leave in a pan covered with water. Remove the dip from the fridge shortly before serving. Stir well and arrange with the tortilla chips and crudités. Add the nuts to the Brussels Sprout Salad and stir well. First thing in the morning, cook the rice for the stuffed pumpkin then cool quickly. Prepare the rest of the filling ingredients, mix all together and stuff then put the lid on and wrap tightly in foil. Put the pumpkin in the oven on 400°F 3 hours before you want to serve. Remove after 90 minutes as per directions and leave tightly wrapped in it’s foil on the counter. Immediately turn the oven down to 370°F and put the meatloaf in the oven and cook for 50 minutes. After the meatloaf has been in the oven for about 30 minutes, parboil the potatoes as per the roasted potato directions, then coat with aquafaba and semolina. Remove the meatloaf from the oven, keeping it tightly wrapped on the counter and turn the oven up to 450*F. Don’t be tempted to peek. Keep it wrapped tightly so it stays warm. Roast the potatoes as directed and prepare the vegetables for steaming. Start cooking the vegetables in the last 10 – 15 minutes and warm the pre-made gravy through in a pan gently. Serve everything and don’t forget the Maple Cinnamon Cranberry Sauce! Try to remember to let the pie come to room temperature before serving. Warm the ready-made caramel sauce very gently in a pan or in the microwave for 20-30 seconds before serving. I made the meatloaf and gravy, the Brussels sprouts salad, and the potatoes. All a big hit, especially the gravy! I also did a test run of the meatloaf a couple of days before–didn’t chop the ingredients finely enough, but it was still enjoyed by my taste testers, and I found the leftover loaf was delicious crumbled into a leafy green salad. I’m so pleased you enjoyed everything Rosa. That gravy recipe is so popular it’s made it into my cookbook! I decided the Sunday before Thanksgiving to start eating vegan. I found your post on line for a full Thanksgiving dinner with menu and all. I found this on Monday night and went full fledged to get it all. Then my aunt called to see if i wanted to come to her house for Thanksgiving. I said well I am doing vegan so if you want me to come I’m cooking vegan and I will bring it with me. She thought about it for a bit and I said that I read all the recipes and know she will like it. She agreed. With that being said, your shopping list was a lifesaver as well as your detailed menus and the Timeline! Oh my goodness! I would not have been able to do all i did without that! Since I was missing a few essentials I made as many as I could on Tuesday night from the 3 and 2 Days Before Timeline. On Wednesday after work I ran to the “hardly a parking space Whole Food” store and squeezed myself in there to get the few but essential ingredients I needed. (Wonderful helpful people working there so since its all “vegan” to me, I didn’t know what it was never mind know where to look, they were eager to assist me.) I got out fairly quickly considering the circumstances there. When I got home I spent the evening playing catch up on my Timeline. Went to bed and got up at 5 to finish. 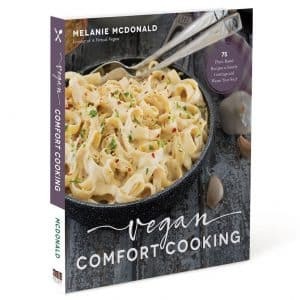 I enjoyed following the recipes and when i got to my aunt’s we threw the pumpkin in the oven and started munching away on the Creamy Vegan Onion Garlic Dip. We loved it with the Organic White corn tortilla chips from Whole Food and we couldn’t stop eating it. I’m so glad I found the white miso paste. The 2 of us ate half the dip and forced ourselves to put it away. I messed up with the timing due to my mistakes like thinking it said to cook the pumpkin 3 hours but don’t worry I caught that in time since I wouldn’t put my Timeline down. I hope you have a full menu with Timeline, shopping list and menus again for Christmas and out soon because I’m flying to Denver to be with my sons and know there will be meat there but I want to introduce a lot of vegan on the table. YOU ARE MY HERO FOR MAKING MY THANKSGIVING MEAL A SUCCESS. YOU ARE WHAT I’M GRATEFUL FOR! I wanted to post pics but I’m not on Instagram or any of those really. Oh Debbie, your message has made my day! You actually brought a tear to my eye. This is exactly why I do what I do. It makes me so happy to know that my recipes are a part of peoples lives and help make occasions like Thanksgiving easier and just as enjoyable as they used to be pre-vegan. 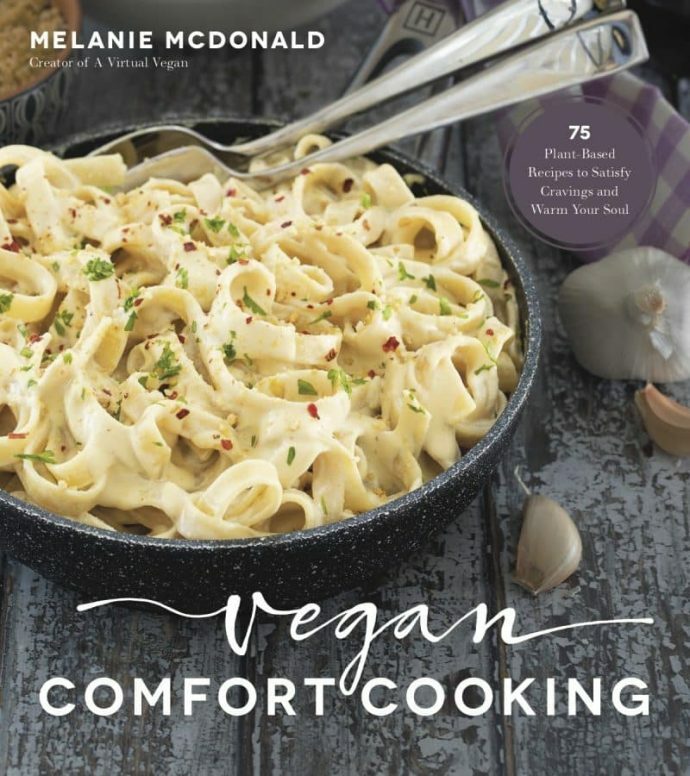 Being a new vegan and having all of that to buy and make with unfamiliar ingredients was so brave of you, and I am really touched that you trusted my recipes and timeline for a special meal like Thanksgiving. I actually decided this week, after seeing how successful this menu has been both last year and this year, to create a Christmas one too. I’m going to start work on it very soon, so keep an eye out for it in a few weeks. If you use Facebook you can share pictures on my page there, or you can email them to me at [email protected] I’d love to see and if you are ok with it, I could then share them on my social media. People love to see reader remakes! It makes the recipes seem much more approachable and do-able. 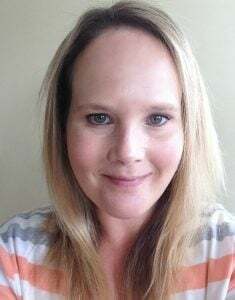 Thank you so much for taking the time to stop by to leave feedback! I followed this meal plan with only minimal tweaks for my very first vegan thanksgiving and I thank you for such a wonderful line up! This meal was satisfying and a huge hit with the family! What about timing if I am just now seeing this? Do I still have time to do it all before tomorrow? It would be a lot of work but I think you could if you did most of the steps from days 3,2 & 1 today. It would probably take you most of the day though. Or just pick some key recipes and don’t make it all to make life easier on yourself. You would have to make your own shopping list then though. Good luck if you try and happy thanksgiving! This is perfect! Thank you so much for taking the time to not only post the menu and recipes BUT to also post a timeline. My Thanksgiving was totally stress free. Thank you so much. I’m really glad it’s helpful! What a great list of vegan recipes. We all enjoyed it. It’s always so hard to know what to make at Thanksgiving when you have vegan guests and you made life easier. We don’t celebrate Thanksgiving here in bonnie Scotland but I’d be more than happy to sit down to this meal. No planning needed here, I’m coming to you. Who could resist such a perfect Thanksgiving meal? Not me for sure. I totally get that. Me too most of the time but sometimes life gets in the way and it’s nice for someone else to do the hard work! This all looks so good! I will totally steal your ideas for shmeatloaf + gravy + stuffed pumpkin + Brussels sprout salad.+ crispy potatoes. You’re right: with all that going on, steamed green beans will be all the side veggie needed. Thanks for the shopping list too — plenty of time to get ready, and now I wish Thanksgiving could be next week! Thank you Chessie! I’m so glad it’s helpful for you. Have a lovely Thanksgiving when the time comes! This was wonderful and thank you for sharing it all! Very much appreciated and Happy Thanksgiving to you and yours ???? Thanksgiving is my favorite food holiday!! So many delicious eats! Loving all of the choices here – especially want to try your new Shredded Brussels Sprouts Salad – looks so yummy! Thank you so much for including my Cranberry Sauce – I’m thrilled that you love it! It’s a staple at all of our winter holiday tables too! You’re welcome. It’s become a family favourite here! Got to love Thanksliving! 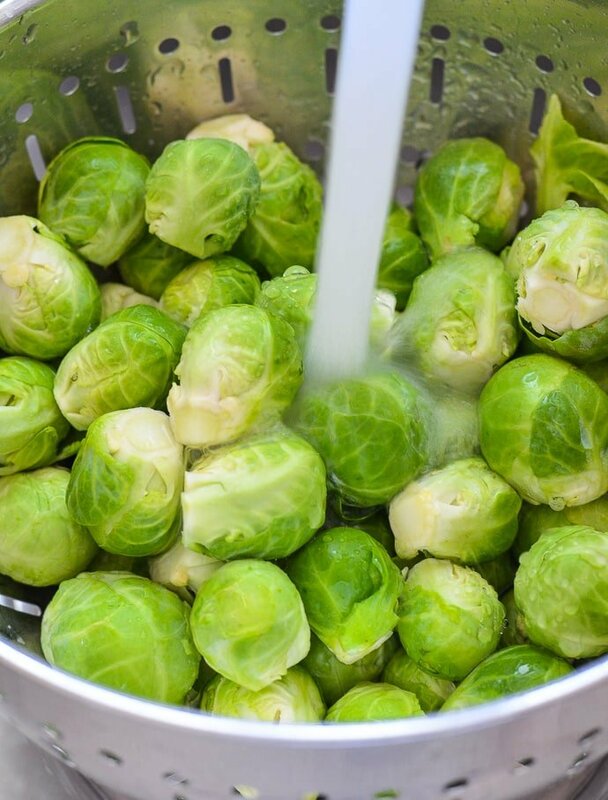 Hope you enjoy the Brussels Sprout Salad!